A combination of beaten down home prices and rising rents make these cities promising places to become a landlord -- just as long as you understand the risks involved. It's hard to imagine that home prices could get any cheaper in Detroit. Hit hard by the auto industry's financial troubles and the housing bust, median home prices in the area have been cut almost in half to $78,000 from a 2004 high of $157,000, according to the National Association of Home Builders (NAHB). And with rents on the rise -- up 5% over the past 12 months, according to Rent Jungle -- these beaten down home prices have created a nice opportunity for investors. Even better, renters' incomes have become more stable. The auto industry has started down the road to recovery, giving a nice boost to the local economy. The metro area unemployment rate has fallen by 2.4 percentage points over the 12 months ended in April to 8.7%. Winzer figures investors will earn 4.6-percentage-point higher return than the national average over the next three years. Click HERE to read the full article on CNN Money! Detroit Made Business Insider's "Top 15 Cities of the Future" List! After years of neglect and devastation--sinking so low that the state of Michigan threatened to take over the city--Detroit is poised for a comeback. 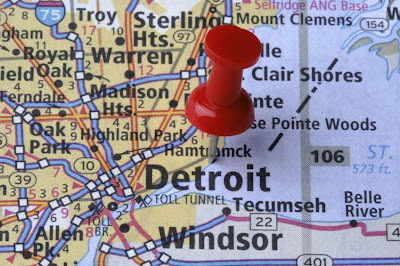 According to a recent YPulse survey, more and more millennials are opting to live in small cities, like Detroit. These young idealists are moving back to Detroit, breathing new life into the downtrodden city with their small businesses, many of which are socially and environmentally responsible. The Urban Innovation Exchange showcases Detroit’s growing social innovation movement, promoting small businesses, like Recycle Here! and Food Lab Detroit. This type of optimism and innovation makes Detroit a city to watch. Click HERE to read the full list of cities on Business Insider (dot) com! Somerset CityLoft Returns to Detroit This Thursday!!!! Declining, desperate Detroit is old news. It's not that the city's economic woes, struggling schools, racial friction and crime have been magically solved. A glance at local headlines will tell you that. But there are new stories to tell about Detroit today. Which doesn't mean the old stories are all wrong -- just that they're not the whole story anymore. 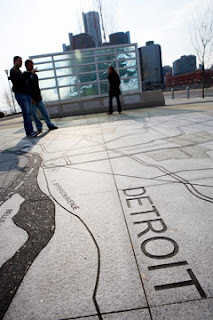 In recent years, for instance, Detroit has become a magnet for ambitious young people. Some grew up in the area; some move in from the coasts or other parts of the Midwest. Many are motivated by idealism or a sense of adventure, seeking to play a part in reviving a Great American City. Others, however, simply see an opportunity to fast track their careers. You see them everywhere -- sporting events downtown, galleries in Midtown, pubs in Corktown, restaurants in Southwest, music clubs in Hamtramck, sidewalks on the East Side, soccer fields at Belle Isle park, vegetable stands at Eastern Market. But a lot of people inside Michigan and out still don't know about it. This new story is exemplified by the Detroit Revitalization Fellows Program (DRFP), a Wayne State University project that connects rising mid-career professionals to organizations at the forefront of efforts to boost economic development in the city. Initiated by Wayne State Associate Vice President Ahmad Ezzeddine in partnership with the Kresge Foundation, the Hudson-Webber Foundation, the Ford Foundation, and the Skillman Foundation, the project drew inspiration from a fellowship program in post-Katrina New Orleans. A wide majority of the 25 New Orleans Fellows stayed in the city after the program concluded, notes DFRP Executive Director, Dr. Robin Boyle -- a nationally known planning professional who chairs Wayne State's Department of Urban Studies and Planning. "I still marvel over the fact that we had almost 650 applicants from across the country apply for 25 positions -- the opportunity to come to Detroit," says Rachele Downs, the DRFP Program Manager and a veteran commercial real estate broker. "These are people who are graduates of some of the best schools in the country with equally impressive professional experience." Click HERE to read the full article by Jay Walljasper on HuffPost Detroit! 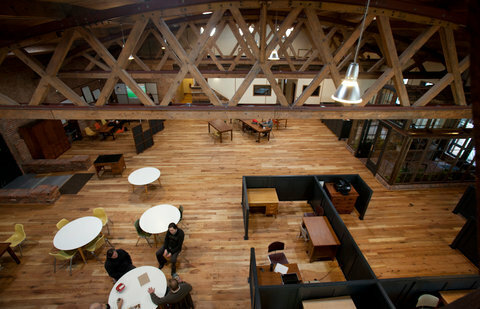 So far, the 11,500-square-foot space has attracted more than 20 one- to five-person companies. Participants brainstorm together in small working groups. They share gardening chores in a newly greened alley alongside the building. Each Friday, they break bread with visitors from the community at large . They lease their Green Garage work spaces at rates ranging from $50 a month for an open chair at one of the room’s shared tables to $1,000 for an office-size area that fits four to five people. The Brennans also plan to generate revenue by offering consulting services to outside businesses pursuing triple-bottom-line strategies. A few of the in-house businesses, like Dickinson by Design, which makes furniture and renovates homes using recycled materials, are already established and humming along; the company’s founder, Chad Dickinson, moved to Detroit from Nashville and just hired his first employee. Other enterprises are new and finding their way, eschewing traditional means of financing – Mr. Brennan isn’t big on loans that burden still-developing plans with debt – and looking to the community for help, ideas and materials. One such start-up, De-tread, plans to harvest the thousands of discarded tires that are a blight and health hazard around the city and turn the rubber into new products, including floor mats for cars, a good match for automobile manufacturers that have started pledging to include recycled content in new vehicles. Jason Peet, 34, who interviews potential Green Garage residents, is the founder of a start-up called Mend, which uses old-growth beams from Detroit homes slated for demolition and refashions them into tables and housewares, each accompanied by a historical account of the home where the materials originated. Before joining the Green Garage, Mr. Peet attended a seminar at another incubator for local businesses. “They had this whole fast-track program, it gets you to a business plan very quickly,” he recalled. At the time, however, Mr. Peet was going through a divorce, had a 6-year-old son, and didn’t want to take out a loan to get the capital he’d need for a speedy start. 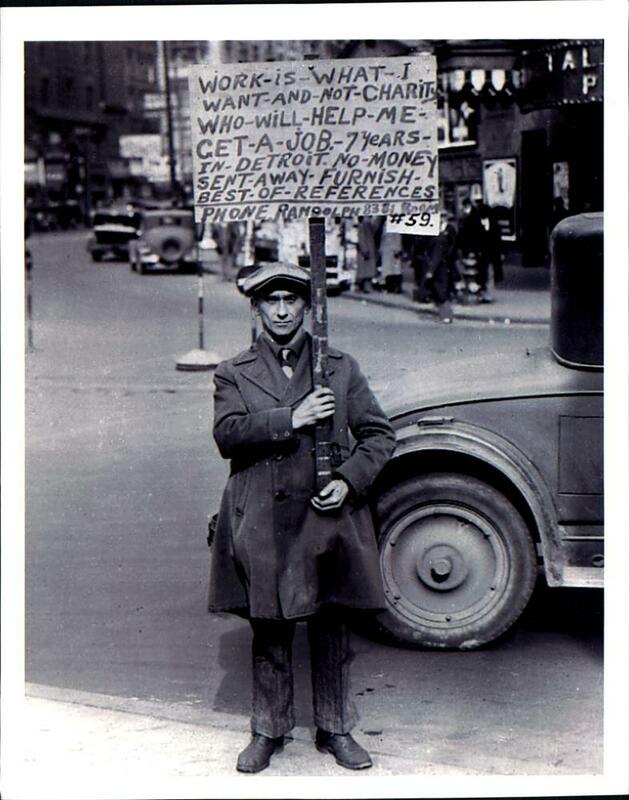 He switched tracks after meeting Mr. Brennan, who gave him a job as a carpenter on the Green Garage’s renovations, a way to pay his bills while working to conceive Mend on the side. A year later, Mr. Peet said, he’s reached the prototype stage for Mend, while keeping his finances intact. Click HERE to read the full article by Jessica Bruder on NY Times (dot) com! Who's Hungry For Dinner? Buddy's Unveils 5 New MI Lake Themed Pizzas! When you think summer in Michigan, you can’t help but envision its natural beauty – the Great Lakes. The state that’s also home to Detroit original, Buddy’s Pizza, claims the world’s largest collection of freshwater among its most treasured resources. Now, 66 years since Buddy’s Pizza originated the Detroit deep dish pie on Six Mile and Conant, the local family-owned restaurants will lend a hand to the Mitten’s greatest resource. Buddy’s Pizza is joining forces with the Alliance for the Great Lakes to help further its mission to conserve and restore the five freshwater lakes through education, policy and citizen involvement. For more than 40 years, the independent citizen’s organization has been fully devoted to protecting the Great Lakes against threats like pollution, invasive species - such as Asian Carp - and wasteful water use. A business made famous in the Great Lakes State and known as “one of the best pizzas” according to Pure Michigan, Buddy’s Pizza is set to unveil its first Made in Michigan Great Lakes Pizza Collection. These brand new pizzas, inspired by the lakes themselves, each feature Buddy’s original crust and the Motor City Cheese Blend. The blend consists of Fontinella, Asiago and brick cheeses and made its debut in 2011 with the Motor City Pizza Collection and Kid Rock’s Badass Detroiter Pizza. 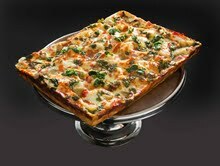 Lake Superior – Fresh basil, pine nuts, pepperoni, tomato basil sauce, Buddy’s spice blend. On Saturday, June 23, each restaurant will celebrate Buddy’s Pizza Day and 66 years of service, by offering customers appreciation cards. Once a month through the end of the year, cardholders can purchase an 8-square cheese pizza for $6.60 and add extra toppings for 66 cents each. Appreciation cards will be available through June 30, or while supplies last. Click HERE for more information about the 'Reveal Your Detroit' exhibit and viewing hours! 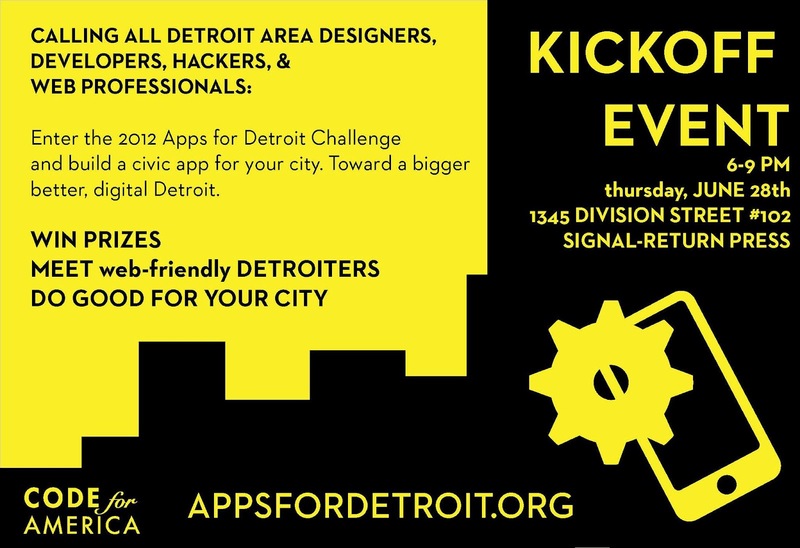 Calling All Detroit Area Designers, Developers, & Web Professionals.....! For more information, head on over to Apps For Detroit (dot) Org! Celebrate Hour Detroit’s Best of Detroit This Friday, June 22nd! Hour Detroit Best of Detroit 2012 from Synergy Productions on Vimeo. Join Hour Detroit as it showcases Detroit’s best restaurants, bars, style and entertainment during the 7th annual Best of Detroit Party, Friday, June 22, 2012. The event benefiting Karmanos Cancer Institute will be hosted at MotorCity Casino Hotel from 7 p.m. to midnight (VIP, 6 p.m. to midnight). Guests will experience the flavors, sounds, and fashions of Hour Detroit’s Best of Detroit winners, as voted by Hour Detroit readers in the magazine’s 13th annual poll. In the extraordinary ballroom and Soundboard of MotorCity Casino Hotel, guests will groove to the infectious sounds and talent of The English Beat, Killer Flamingos, Kenneth Thomas and Shawn Michaels. Jay Towers of Fresh 100 and Fox 2 will emcee throughout the evening. Tickets for Hour Detroit’s Best of Detroit Party are $85 for general admission and $125 for VIP access. Both types of tickets are available at hourdetroit.com or ticketmaster.com. Limited VIP tickets allow entrance into the main ballroom at 6 p.m. for the first tastes from the Best of Detroit winning restaurants and vendors. From 7 p.m. to midnight, VIP guests are invited to relax in VIP lounges in the Soundboard and sky boxes. The night will feature an eclectic mix of Metro Detroit’s best restaurants, including Avalon International Breads, Beans and Cornbread, Beverly Hills Grill, Buddy’s Pizza, Capies Candies, Café Cortina, Da Nang, Doc Sweets’ Candy Company, Emagine Theatres, Giovanni’s Ristorante, Joe Muer Seafood, Just Baked, La Dolce Vita, Opus One, Palm Palace, Pegasus Taverna, Priya Indian Cuisine, Redcoat Tavern, Roast, Slows Bar BQ, Streetside Seafood, Superior Fish Company, The Lark, The Whitney, Toast, Vince & Joe’s Gourmet Market, Zoup! Fresh Soup Company and more. The Best of Detroit party is sponsored by Lexus, Birmingham Estate Jewelry Buyers, Michigan Grape and Wine Industry Council, Allied Printing, Oakland MRI, Movement Electronic Music Festival, Kozi Vodka, Indigo Salon, Franco Public Relations Group, Astute Artistry, Rock the Booth and Fox 2. As part of its mission to foster and support jazz throughout the country, the Detroit Jazz Festival is now accepting submissions for two national competitions – saxophone performance and jazz arrangement – that will be judged by prominent jazz artists and educators, with prize money totaling $5,000 and the chance to perform at the Detroit Jazz Festival on Labor Day Weekend. The Detroit Jazz Festival’s JC Heard Jazz Big Band Arranging Competition and Jazz Saxophone Competition are the first of the annual competitions designed to highlight a specific jazz composer and celebrate the artistry of the saxophonist and arranger by encouraging new works from young talent throughout the U.S.
Arrangers will be asked to choose a composition from a significant jazz composer’s body of work, determined by the festival, and create an original arrangement for a designated ensemble. For the 2012 competition, individuals – 35 years and younger – are invited to arrange a Wayne Shorter composition of their choice for big band instrumentation with a featured soloist. Judges will include Collins; Terence Blanchard, 2012 Artist in Residence; Ellen Rowe, director of jazz studies, University of Michigan; and Russ Miller, department of jazz studies, Wayne State University. One grand prize winner will receive $1,000 and have the opportunity to see their arrangement performed at the Detroit Jazz Festival by the Detroit All-Star Big Band and a guest soloist. Two finalists will also be awarded with $500 each. The jazz saxophonist competition seeks to recognize and provide performance opportunities to outstanding jazz saxophonists 32 years of age or younger. Applicants are asked to provide three tracks featuring a saxophonist with a rhythm section. Three finalists will be selected and scheduled to appear in Detroit to perform at the Dirty Dog Jazz Café on August 9, 2012, and at Cliff Bell’s Jazz Club on August 10, 2012. A panel of judges, including Blanchard, Collins and acclaimed Detroit saxophonist George Benson, will select the grand-prize winner and finalists. The winner will be awarded $2,000 and will be scheduled to perform a set at the Detroit Jazz Festival with the Detroit Jazz Festival All-Star Quartet. In addition, two finalists will be awarded $500 each. In addition to the events on Labor Day weekend, the Detroit Jazz Festival organizes year-round cultural and educational efforts, like the JC Heard Jazz Week@Wayne and the poetry slam series, to cultivate jazz in the community. Artists can submit their applications online or by mail. To apply for the Jazz Saxophonist Competition, visit http://www.detroitjazzfest.com/artistsaxophone.html. The submission deadline is July 15. To apply for the Arranging Competition, visit http://detroitjazzfest.com/artistsaxophone.html. The submission deadline is August 1. To mail an entry, download an application at http://www.detroitjazzfest.com/artistsubmission.html and send the completed form and score to: Detroit Jazz Festival, ­ 19900 Harper Ave., Harper Woods, Mich. 48225 (Attn: Sax Competition or Arranging Competition, respectively). Finalists must submit copied parts by August 15. Pewabic Pottery’s Passport to Pottery summer camps offer children ages 6 to 12 the opportunity to get creative while being introduced to different cultures and creating clay objects from those cultures. Each workshop concludes with an art show where participants share their creations with family and friends. 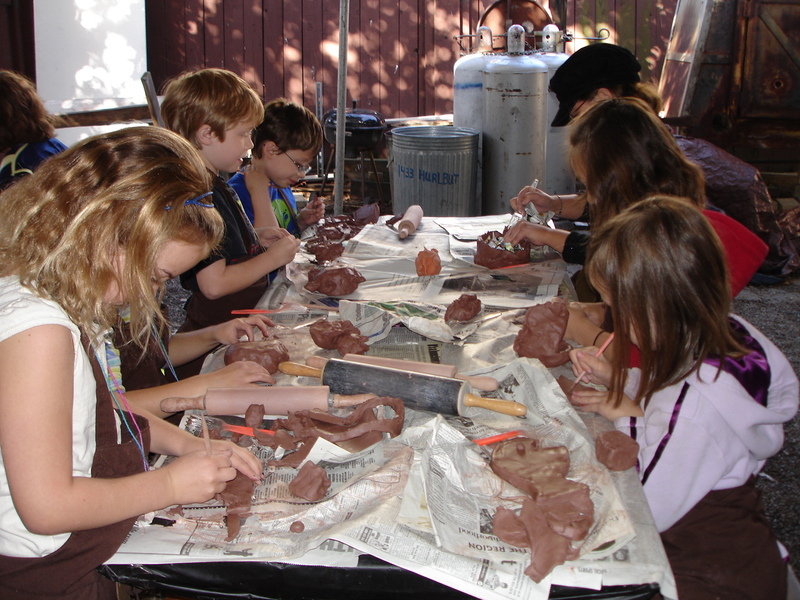 Summer camps are $95 per week per child. Clay and tools are provided by Pewabic. Each camp is offered in two sessions Monday through Friday, from 9 a.m. to noon and from 1 p.m. to 4 p.m. Guests may register for one week or all six weeks of classes. Camp sizes are limited. Guests may register online at pewabic.org, by phone at (313) 626-2000 or in person at Pewabic’s museum store. Pewabic is a historic working pottery which is open to the public year round and offers classes, workshops and tours to children and adults. Pewabic creates giftware, pottery and architectural tile, showcases more than 80 ceramic artists in its galleries, and operates a museum store that features pottery and gift tile made on-site. Visitors are welcome, free of charge, Monday - Saturday from 10 a.m. to 6 p.m. and Sunday from noon to 4 p.m. To learn more about Pewabic Pottery call (313) 626-2000 or visit www.pewabic.org. Santa Fe, of course, isn’t the only city in the country facing hurdles in trying to rethink a dated business model. Last week, SFR attended the Association of Alternative Newsmedia’s annual convention, hosted in an oft-cited king of failed American cities: Detroit. During the recession, the once-booming metropolis became synonymous with Great Depression-level unemployment rates, auto industry bailouts and high crime rates. But while the city’s overall population declined by 25 percent between 2000 and 2010, during the same period, downtown Detroit reaped major gains in a category that Santa Fe might envy: a 59-percent increase in young professionals under 35. Santa Fe’s share of residents aged 20-35 declined from 19 percent to 16 percent during this past decade. In order to cope with the influx of a younger workforce, Jeff Aronoff created D:Hive, a community and business hub in downtown Detroit that serves as a one-stop shop for young people in the city. As executive director, Aronoff assists them with job, housing and quality-of-life resources. Like many of Detroit’s other economic development initiatives, D:Hive, which formally launched last month, is funded primarily by a grant from a local foundation (in this case, a three-year, $1.2 million grant from the Hudson-Webber Foundation). Foundations, supported largely by money from the once-booming auto industry, are still a mainstay in southeast Michigan. D:Hive is located in downtown Detroit, where most of the city’s economic development is taking place. But it’s not always visible: Vacant skyscrapers and boarded-up storefronts still populate the city. Generally, Aronoff says, around 50,000 of the city’s roughly 700,000 total residents are young professionals. Much of the remaining population still experiences a low quality of life. Some of those areas may be geographic; others are demographic. For instance, Detroit is building on an existing strength: its large immigrant population. In 2010, the New Economy Initiative for Southeast Michigan commissioned a study that found that between 1997 and 2007, immigrants living in the area were three times more likely to start their own businesses than non-immigrants. Between 40 and 60 percent of all students in the Detroit area who are studying for advanced degrees in mathematics are immigrants, Athena Trentin, a program director at Michigan’s University Research Corridor, tells SFR. The Global Talent Retention Initiative of Southeast Michigan, which Trentin leads, builds off that study by finding ways to retain international residents in Detroit. Immigration has large implications for the city’s tech industry, she says, which is the fastest growing in the nation. Another economic development initiative, Hatch Detroit, resembles the recent business-plan competition held by MIX Santa Fe, but doles out more money ($50,000 compared to MIX’s $10,000 prize) and focuses specifically on retail businesses. But in Detroit, as in Santa Fe, economic redevelopment efforts also have their particular challenges—namely, ensuring that every sector of a recession-hit economy is included in its recovery. Click HERE to read the full article on SF Reporter (dot) com! 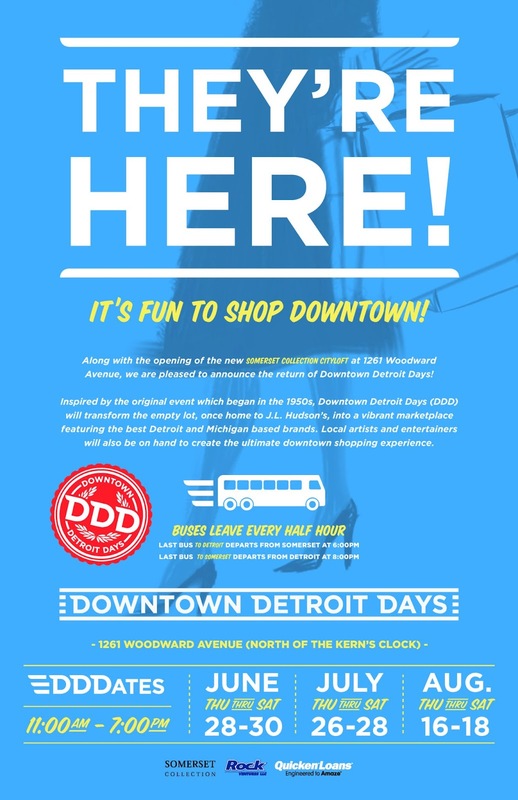 Hatch Detroit has announced it will accept applications for its 2012 retail business competition beginning June 1 through Aug. 1. The contest is open to anyone with an idea for opening a retail business within the City of Detroit. This year, with support from Comerica Bank, the competition will continue to work toward building a strong community and creating vibrant and dynamic retail businesses in Detroit. Applicants must provide a summary that describes their business idea and its potential impact on Detroit, as well as background for each team member. After all the applications are submitted Aug. 1, Hatch will narrow down the pool to 10 applicants and the public will vote on the $50,000 winner. In addition to the cash prize, the winner will receive a package of services including legal, marketing and advertising and IT support. In addition to the competition, Hatch Detroit plans to support retail businesses in several Detroit neighborhoods with grassroots improvement projects during the next six months. All applications must be submitted online. For complete submission guidelines and contest rules, visit www.hatchdetroit.com. Hatch Detroit launched its inaugural competition in 2011 with overwhelming success. Hatch received more than 250 applications, and through social media and grassroots efforts, the public helped select the winner – Hugh, a home furnishings shop featuring classic bachelor pad style. Hugh received $50,000 in addition to a suite of donated services from individuals and companies to help the business “hatch” and thrive. Hugh will open in fall 2012. Many of the 2011 finalists are also in the process of opening retail stores in Detroit. Hatch Detroit is a Michigan based 501(c)(3) organization that champions and supports independent retail businesses in Detroit through funding contests, education, exposure, and mentoring. Hatch Detroit was co-founded by Nick Gorga and Ted Balowski, Detroit natives who are passionate about the revitalization of the city and inspiring others in the community to create change. Like a significant percentage of Americans, I waste huge amounts of time trolling various social networks. 99% of what I read is truly useless, stealing hours upon hours that I will never get back. But every so often I come across something that is worthy of sharing. Or, writing a Forbes post about. Today’s nugget was this article about Detroit’s hiring market. As recent as three or four months ago, you might have expected to click the link and see news about yet another population retraction or spiking unemployment. But, no. Not this time. Turns out 27% of Detroit employers plan on adding staff, compared to only 5% who plan on reducing. Those numbers are fifth best in the nation. You read that right. 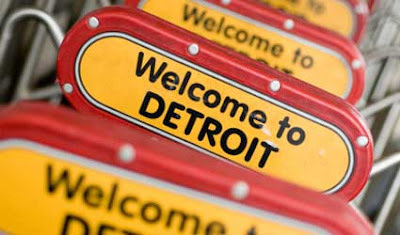 Detroit ranks fifth in the nation for third-quarter hiring projections. Nationally, Detroit is riding a wave of goodwill. Perhaps it started with Chrysler’s “Imported From Detroit” campaign a couple of Super Bowls ago. And who knows, maybe my film “Lemonade: Detroit” contributed in some small way toward shifting the dialogue away from pity and toward hope and optimism. 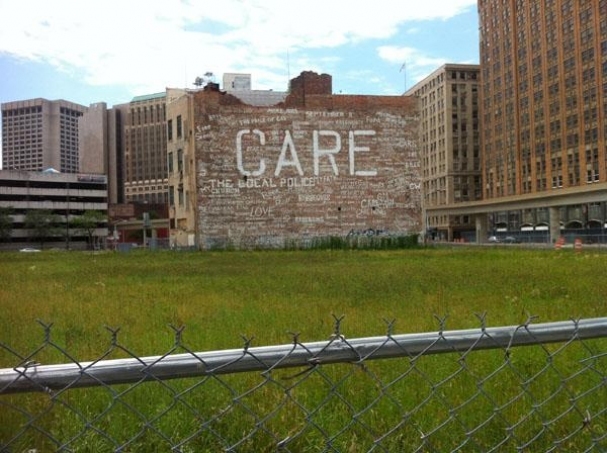 Whatever the cause, whatever the reason, Detroit is beginning to realize the potential it always knew it had. Potential the rest of the nation doubted was even there. Backed by a resurgent automotive industry and a long line of companies moving all or part of their operations downtown (Chrysler did it. 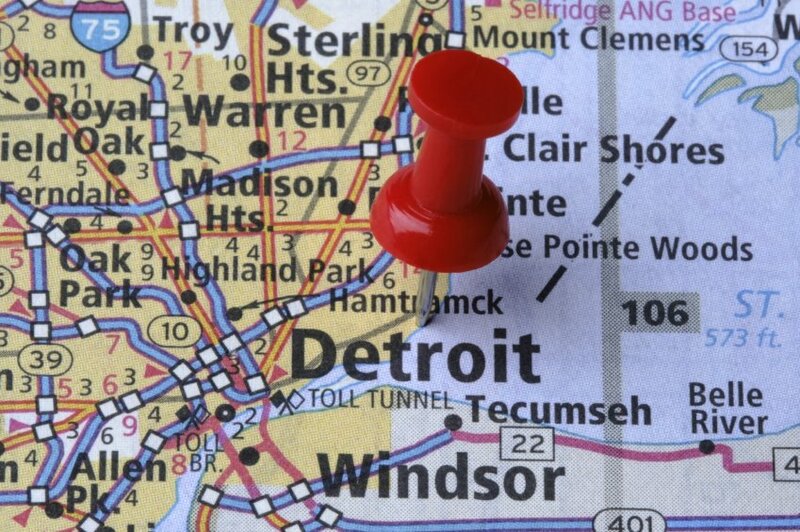 So did Quicken Loans, Blue Cross Blue Shield of Michigan, Lambert Edwards Public Relations, and countless small/entrepreneurial businesses), Detroit is now one of the best cities in the country to be a job hunter. Click HERE to read the full article by Erik Proulx on Forbs (dot) com! On a solo bike ride along the fringes of downtown Detroit, gliding past the ghostly shells of buildings long since abandoned, two things occurred to me: One, these buildings are really spectacular. Two? I am riding my bike on the sidewalk. Something I could never do in New York. The reason was simple enough. When touring a city of about 700,000 people that was built to hold at least 1 million more, you can go ahead and take all the space you need. The streets may have appeared a little lonely at first, but when I did encounter people, they seemed extraordinarily cheerful and friendly. As I biked past total strangers walking their dogs, or chatting with their neighbors, they unfailingly looked up and waved, like we were in a small town. Maybe that’s the best way to sum up what I saw in Detroit. One part urban blight. One part something like buried treasure. And really, really friendly. Detroit is not a place I had ever felt compelled to visit, but these days, it’s hard to open a magazine or newspaper without seeing yet another article on the Motor City. Some of them say it’s the end, almost reveling in its death, celebrating the abandonment. Others insist this is a town poised for a comeback, some say it’s already coming back and is being ruined by hipsters; still more don’t know what to think. Which is why I was here — I simply wanted to see this big old metropolis for myself. Click HERE to read the full story on the New York Post (dot) com! The Detroit-Warren-Livonia Metropolitan Statistical Area will be one of the strongest job markets in the country in the July-through-September third quarter, according to the quarterly Employment Outlook Survey from the Milwaukee, Wis.-based temporary help firm Manpower Inc.
From July to September, 27 percent of Detroit-area employers interviewed plan to hire more employees, while only 5 percent of employers expect to reduce staff. Another 68 percent expect to maintain their current work force levels. That yields a Net Employment Outlook — the number that plan to add staff minus the number who plan to cut — of plus 22 percent. That’s the fifth best of any region in the nation. For the coming quarter, job prospects appear best in the Detroit area in construction, manufacturing (both durable goods and non-durable goods), transportation and utilities, wholesale and retail trade, financial activities, professional and business services, leisure and hospitality and other services. Click HERE to read the full article on CBS Detroit! 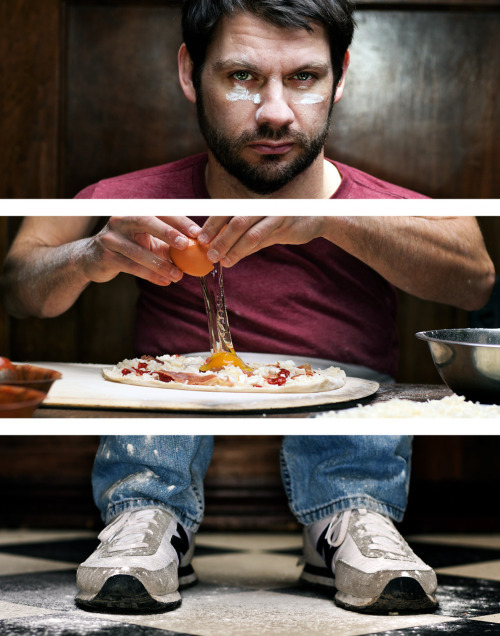 Chef Dave Mancini Is Known For: Running the show at Detroit's Supino Pizzeria, the best thin-crust pizza in a city overrun by thick crust pies. Off The Menu: You can find him sailing the Detroit River or Northern Michigan's Lake Charlevoix. 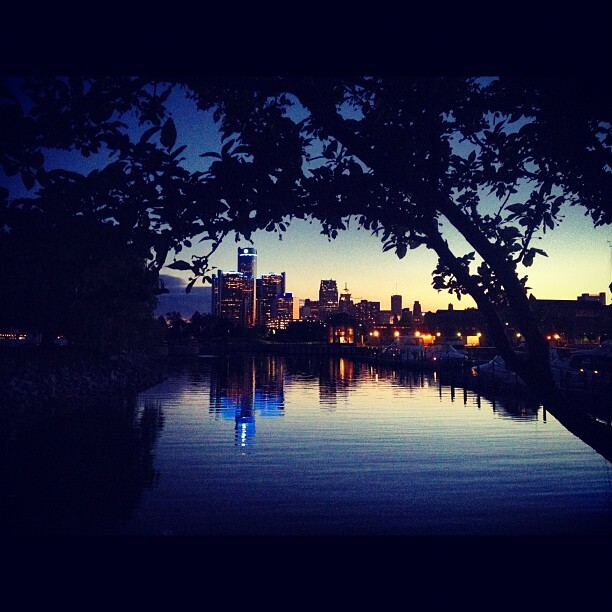 Detroit In His Words: "I've lived here for 17 years, moving downtown for graduate school and I really loved it from the get-go. It's not for everybody, and we do have many challenges, but there is a spirit here that is becoming more and more infectious. The last few years have seen an influx of expat artists and entrepreneurs from all over and the mixture of creative energy from the folks that has been here with the new blood is making this a really exciting place to be right now." Click HERE to find out Dave's 12 'Detroit Summertime Musts' on GQ (dot) com! Both the number of homes sold and home prices in the Detroit area rose in May from year-ago levels, according to the Farmington Hills-based real estate information firm Realcomp II Ltd. The total number of residential and condo sales rose 11.4 percent from a year earlier, from 5,679 units to 6,325 units. The median sale price in the region jumped 21.2 percent from a year ago, from $66,850 in May 2011 to $81,000 in May 2012. Homes were selling quicker compared to a year ago, with the average days on the market for a home falling to 84 days from 97 a year earlier. And the inventory on the market fell to 27,227, down 17.6 percent from 33,029 a year earlier. About 13 percent of the inventory (3,652) is comprised of properties identified as foreclosures. Another 22 percent of the inventory (5,897) is comprised of properties identified as short sales. On Saturday, June 16, Foster The People invites fans and local Detroit residents to join in on an afternoon of volunteering at The Heidelberg Project to support Detroit’s under-resourced community. From 9:30 to 4 p.m. volunteers will help transform the abandoned burnt homes on Mt. Elliot between Mack and Benson Street into artistic symbols of a bright vision for the future. In an effort to inspire fans to give back in their communities, Foster The People has created a Do Good Project for the second year in a row to benefit local charities along their North American summer tour. In response to the challenge, Do Good has scheduled a variety of volunteer projects, from school restoration initiatives to large-scale community art projects. The tour will continue across North America, ending in Las Vegas, Nev., on Saturday, July 7. For more information on how to volunteer and for monetary donations, please visit www.fosterthefuture.com. Do Good, an initiative of Glue Projects, promises altruistic adventurism by bringing people together to help local causes in a fun and social environment. During each event, Do Good strives to create awareness for local causes, create community amongst volunteers and prove the power of working together to make a difference. For more information, please contact Rebecca Pontius at rebecca@glueprojects.com or visit www.glueprojects.com/DoGood. Win Tickets To An Advanced Screening Of 'Your Sister's Sister" Staring Emily Blunt! I am giving away 5 pairs of tickets to an advanced screening of the movie, "Your Sister's Sister" at the Main Art Theatre in Royal Oak on June 20th. Please email me at positivedetroit@gmail.com. The first five people to respond win! 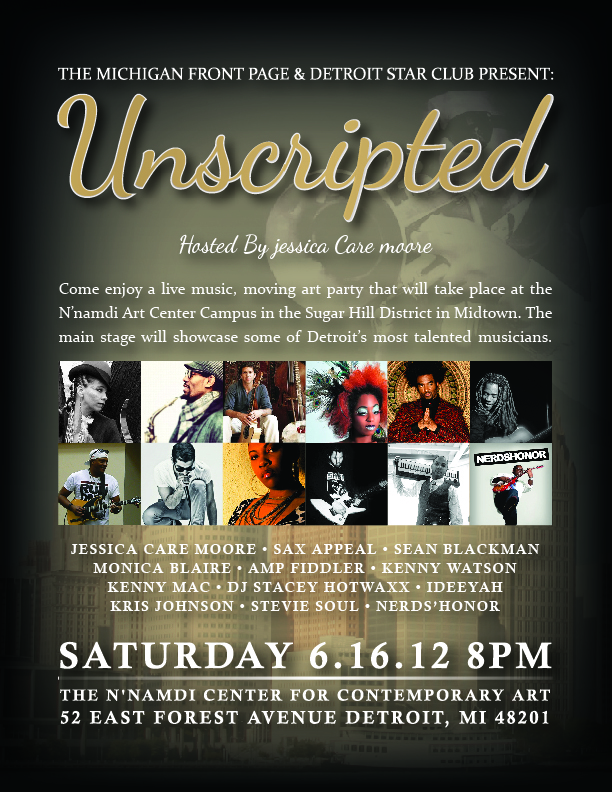 Tickets can be purchased at www.brownpaperbagtickets.com keyword: Unscripted. Tickets will also be sold at the door. Join the fun this summer as Downtown Milford hosts a variety of summertime events sure to fit the interests of everyone. The southwestern Oakland County destination sets the scene for live music, eclectic shopping and festivals galore. On Thursdays, the place to be is downtown for the Milford Farmers’ Market. The market offers live music, cooking demonstrations, special events and of course Michigan-based farmers, producers and artisans. It runs from 3-8 p.m. every Thursday through Oct. 18. Center Street Park will be filled with music and art on the fourth Friday of each month. The Milford Downtown Development Authority and Huron Valley Council for the Arts will present Friday Night Live at the Center Street Park gazebo from 7-9 p.m. Concert-goers will enjoy free musical concerts and have the chance to browse works by local artists. The series that began May 25 with rock and pop group, Expanse of the Unknown, will be followed by three other concerts, including: Multi-instrumentalist Gary Weisenburg on June 22, highlights of the Los Amigos Band on July 27 and a capella vocalists 4 GVN and the Perfect 5th on August 24. Beginning June 7, music fans are invited to gather downtown at Central Park for the season’s first show of Milford’s Summer Concert Series. The series will bring live music into the downtown corridor at 7 p.m. Thursdays and continues weekly through August 23. This year’s acts will include: Billy Mack and The Juke Joint Johnnies on June 7; Nick Palise and Sovereign Blues on June 14; Paisley Fogg on June 21; Motor City Brass on June 28; Dave Gerald on July 5; Steve King and The Dittilies on July 12; Wildfire Country Band on July 19; Jill Jack Band on July 26; Kimmie Horn on August 2 and Gemini on August 23. New this year, the Milford Business Association will present Milford’s Summer Palooza! Mark your calendars for this three-day event, scheduled for July 13-15. Main Street, between Commerce and Liberty, will be filled with sidewalk sales Friday-Saturday and 10 a.m. to 9 p.m. and Sunday from 11 a.m. to 4 p.m. The event also includes face painting and inflatables for the children. The Main Street Grill will host entertainment and a beer tent Friday and Saturday night. As August rolls around, Milford prepares for its annual summer bash, the Milford Memories Summer Festival. This year’s event, the 21st annual, is set to take over downtown from 10 a.m. to 8 p.m. Friday; 10 a.m. to 7 p.m. Saturday; 10 a.m. to 5 p.m. Sunday from Aug. 12-14. Milford Memories features Art in the Village, including artists and crafters from across the U.S. and Canada, a Civil War encampment, euchre tournament, hot pepper eating contest, beer tent and live music by bands like Gemini and The Icemen. Watch teams canoe an obstacle course down the Huron River blind-folded. Join in the One-Mile Fun Run or a 5K or 10K. In 2011, an AMEX survey found 64% of homeowners planned to embark on a home improvement project, focusing on do-it-yourself projects and spending an average of $3,400. Eric Stromer will show homeowners they can demand everything and compromise nothing because home improvement can be easy and doesn’t have to cost a lot of money. 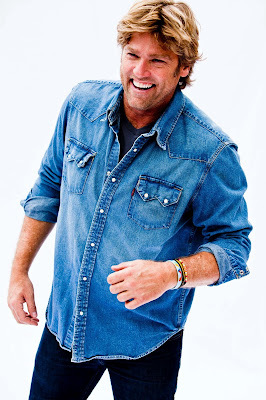 Eric Stromer is a popular name in home improvement with his roots as a 20-year veteran contractor, and is currently seen by millions of television viewers. This July, Stromer launches a new show on A&E, “Hideous Houses.” Stromer previously hosted the HGTV hit show “Over Your Head.” People magazine named Stromer one of its "Sexiest Men Alive."